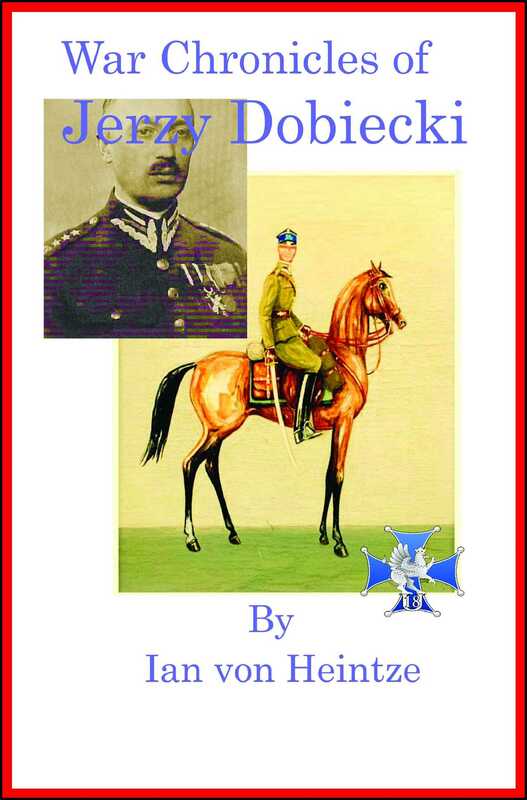 This tribute to the life of Jerzy Dobiecki, a Polish cavalry captain with the 18-ty Pulk Ulanów Pomorskich – the 18th Polish Pomeranian Lancers, is a story based on previously archived material, some of it originally written by the Captain in Polish, that has been translated for the first time into English. The Captain’s chronicles bring to life eye-witness accounts of his regiment’s deployments during the Russo-Polish War between 1919 and 1921, one of several little-known wars fought between Poland and her neighbors immediately following the Great War. Eighteen years later, as Poland was invaded by Germany in September 1939, from his position on attachment to the Polish Ministry of Military Affairs in Warsaw, Captain Dobiecki kept a diary of battles as they developed across Poland during the first weeks of the Second World War. The diary records events as he, and what remained of the Polish military High Command, were evacuated to neighboring Romania as Poland was additionally overrun by Soviet forces from the east. His journal sheds light on his subsequent escape from internment across Europe to France and later on to Britain, where he served as a staff officer with the command of the Polish 1st Corps, formed in exile in Scotland. Following the end of hostilities in Europe in 1945 and upon their return to Britain after the fighting on the continent, like thousands of other Poles commissioned under the auspices of the Polish Resettlement Corps, Jerzy had to decide whether to return to his native Poland or whether he should try to somehow rescue and bring to England what was left of his family – now trapped behind the iron curtain in eastern Poland, facing an uncertain future under a severe Stalinist regime.